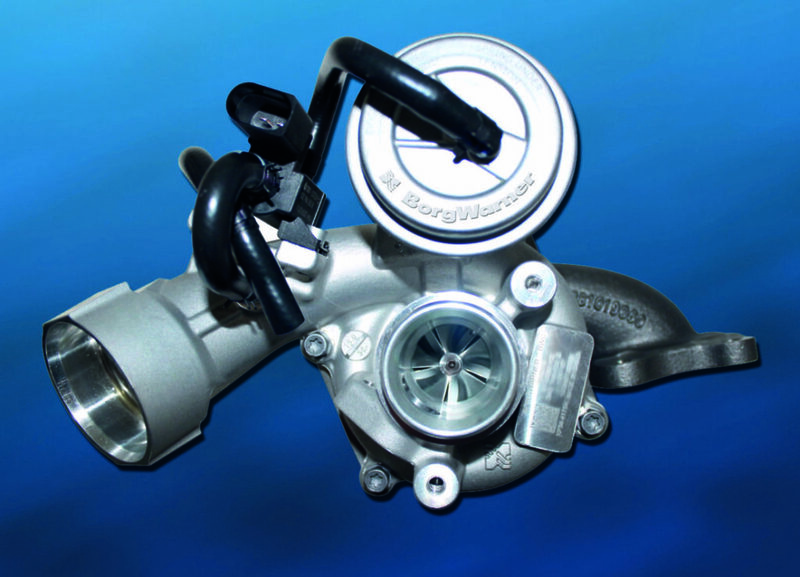 Turbochargers are components that are critical to the reliable operation of correct emission production and under-bonnet thermal management of an engine. 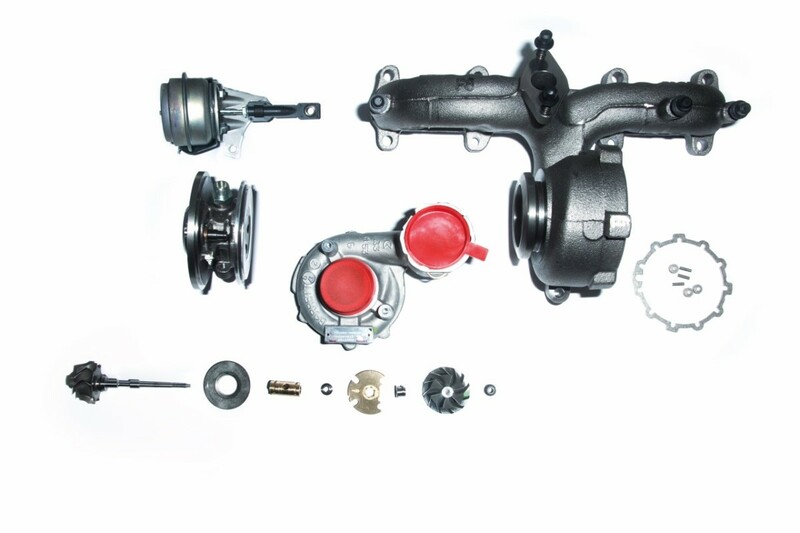 The turbocharger, although situated outside the engine, is fed the same oil that the engine relies on, and from the very same engine’s oil pump. The oil is fed through an oil feed line, which is the main “artery” feeding the life blood to the turbocharger. It is worth knowing that the turbocharger is a high-precision component that operates at enormous rotational speeds, often in excess of 180 000 rpm, and operates at temperatures above 650 deg C in normal operating conditions. The turbochargers in the latest Euro5/6 engines are manufactured using exotic materials, and operate above 850 deg C in normal operating conditions. When an engine fails, the entire engine is disassembled and checked for the cause of failure. This failure mechanism is resolved, or the part replaced, and the engine is reassembled. Most engine rebuilds involve a new oil pump, which is the main cause of many engine failures besides wear – of rings, valve seats, valve stem seals, etc. However, because it is situated outside the engine, when a turbocharger fails it is usually treated as an alternator or starter motor, and removed, replaced or repaired, and re-installed. The vehicle owner normally expects a newly-replaced turbocharger to have had its life renewed, and expects to see a further 200 000-or-more kilometres of service from the new component. This is the mistake made by almost all mechanics and vehicle owners, because the turbocharger is an integral part of the engine’s internal components, and despite being situated outside of the engine itself, should be treated as an internal engine component. When a turbo fails, the most important step to ensure renewed service life from a turbocharger that is being replaced is to find the cause of failure, correct this mechanism/problem/component, and then repair/replace the turbocharger and re-install it, following very specific procedures. – How does one know when a turbocharger is about to pack up? – What sort of life expectancy can one expect from a turbocharger? – Turbochargers are expensive components, and often pack up without warning; how does one budget for such a failure? – How does one service a turbocharger? 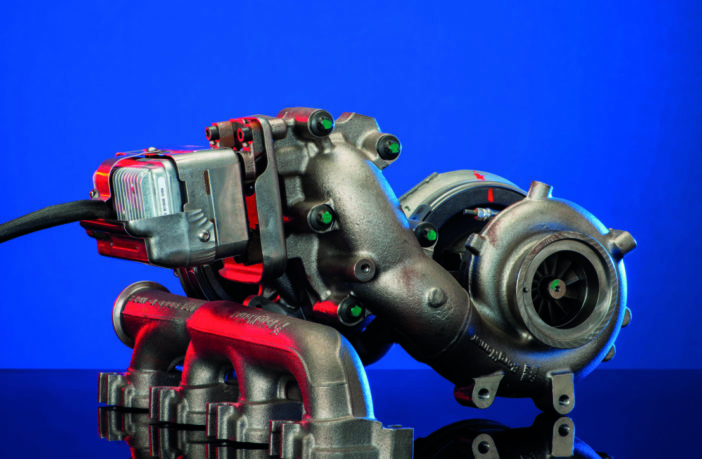 A turbocharger is an extremely reliable component, and is designed to last as long as your engine’s life. Manufacturers typically design turbochargers to exceed 300 000 km of service in a single life-cycle. However, many turbochargers don’t reach this, because of late or incomplete maintenance, or a complete lack of engine maintenance. All of these will shorten the life of your turbocharger. Lack of lubrication. This is simply oil-starvation of the turbocharger, normally caused by a blocked oil-feed line. In time, the line (which is routed very close to the extremely hot turbine side of the turbocharger) will experience high thermal loads when the engine is shut off. While the engine is off, there is no longer oil flow through the turbocharger, and the stagnant oil inside the oil feed line will become hot because of the 600 ͦC-plus turbine housing next to it. The remaining oil inside the thin oil feed line, which is made from steel tubing, will burn and coke up inside the line. Over time, this carbon build-up will act just like cholesterol in human arteries, and start to restrict oil to the turbocharger. Depending on the vehicle, the use of a thermal sleeve around the oil feed line will help to prevent this, as well as regular maintenance which includes replacing the oil feed line at a specific mileage/service intervals. It is not possible to clean inside these existing lines due to the complexity in their design, routing, and the nature of the fittings used. Rapid failure will occur due to factors like lack of lubrication and dirty oil. Oil contamination, or “dirty oil”, includes a variety of contaminants, among which are water, fuel, debris and TDS (total dissolved solids – also known as fine particle debris). Water- and fuel contamination break down the film strength of the oil, compromising its ability to lubricate the bearing components. In layman’s terms, this means that the oil’s film is no longer strong enough to prevent metal-to-metal contact between the bearings and the internal turbocharger parts. This will allow gradual and progressive wear to occur in the mating bearing components. Depending on the severity of engine use, the turbo might last from 10km in distance to six months of use before the turbocharger eventually generates sufficient clearance in the bearing system to allow the rotating blades (wheels) to make contact with the end housings. This will result in catastrophic failure, and often results in massive smoke clouds generated behind the vehicle as oil leaks out of the turbocharger and is burned in the turbine housing and exhaust system. Debris in the form of large- and fine-particle contamination will simply score and abnormally wear the bearing components inside the turbocharger, and the result will be the same as described above. Foreign object damage is easily visible and more often experienced on the “cold side” of the turbo where the compressor is sited, although the turbine side is also know to experience FOD (Foreign Object Damage). This is simply explained as foreign debris being ingested through the air intake tract and contacting the high-speed aluminium compressor wheel. A worn and/or old air filter is usually the cause of the damage, although it could also result from an installation mishap in which a mechanic has left a nut or bolt inside one of the intake pipes, which then gets drawn into the rotating blades at startup. It is also possible following previous catastrophic turbocharger failures, in which debris has been left behind in the intake tract, causing the identical problem to occur to the newly-replaced turbocharger if it has not been cleaned correctly or adequately. On the turbine side of the turbocharger, FOD can occur when the mechanic does not notice that a bolt, nut or socket falls into the manifold, which is then sucked into the turbine blades on start-up. Other causes could relate to a broken valve seat or valve guide, or a burned piston, which is forced in its melted form out of the exhaust and into the turbocharger’s turbine stage, making contact with the turbine wheel blades. Any damage to either side of the turbocharger’s rotating assembly will result in an imbalance, which will induce immense vibrations, and cause abnormal wear to bearing components. These will warn any driver with a loud audible whine or siren-type scream, which, if ignored, will result in a catastrophic failure. Exceptional operating conditions are usually found when the turbocharger operates outside of the manufacturer’s specifications, such as when the turbo is forced to operate and maintain a specific boost level when a charge pipe (intercooler air pipe) has burst or malfunctioned. This forces the turbocharger to “over-spin” (cyclic over-speed) and could result in a burst. Many of these exceptional operating conditions relate to intentional changes or “upgrades” to the vehicle, including chip tuning and plug-in chips which force the turbocharger to operate at much higher speeds and temperatures in order to increase boost (and engine power). The chips are programmed to add fuel, and more boost, in certain instances, which can drastically shorten the life of the turbocharger’s bearing systems. “Hot shut down” is a term that is used when a turbocharged vehicle is driven hard and shut down immediately after stopping at your destination. This causes the higher thermal loads under the bonnet to soak into the bearing system and oil-feed line, shortening the life of the turbo. 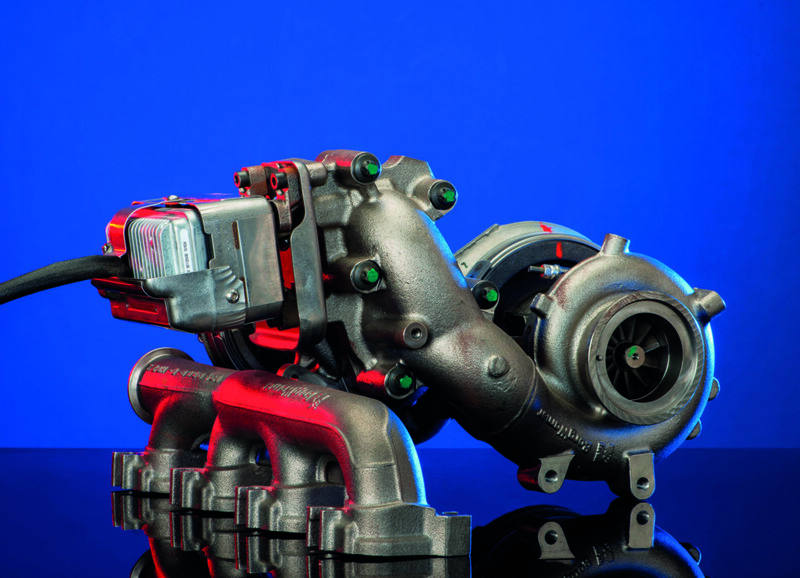 Finally, a lack of maintenance may also force a turbocharger to operate outside of the engine manufacturer’s intended designed parameters or conditions. Do not see the turbo as a component on its own, but rather as an integral part of the engine. What to do? There are some simple steps to follow to protect your turbo. Service your vehicle on time, every time. Use only genuine parts – including oil filters, air filters and the correct grade of oil. (Check the owner’s manual: there is a very specific reason for this). The saving on a cheap filter instead of an original part is no match for having to buy a new turbocharger. Before shutting off the engine, allow it to idle for a short while to stabilise internal temperatures. Drive the last few kilometres of your journey slowly, and “off boost,” to allow air flow to cool the engine and turbo before you arrive at your destination, thereby shortening the idle time before engine shutdown. Start-up and warm-up are equally important. 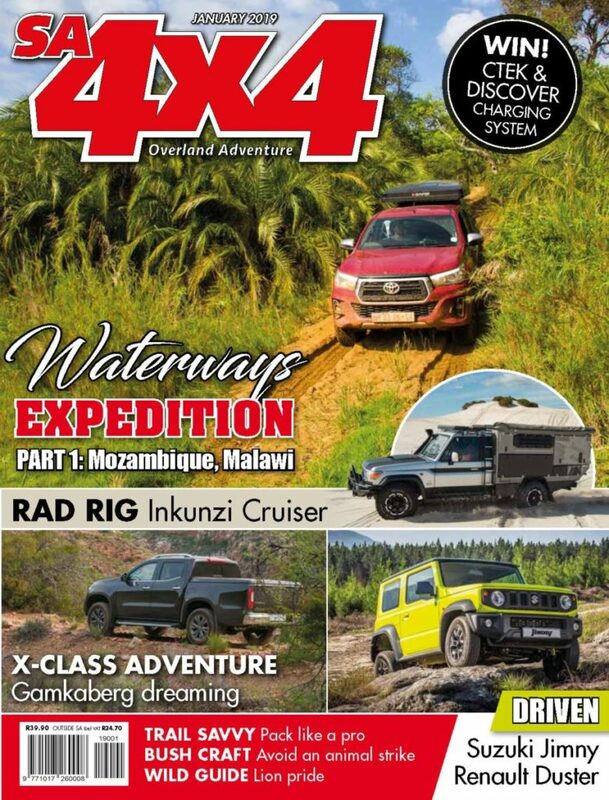 Let the engine idle for a while to reach normal running temperature, or drive a few kilometres off boost, to allow the engine and (more importantly) the oil in the engine, to get to optimum operating temperature. Watch the gauge. Replace the oil-feed line at specific intervals, depending on the vehicle make and application. VW diesels are around 90 000-100 000km, other German marques (BMW, Mercedes-Benz) are at 100 000-120 000km. Check the specified interval, as these vary. When replacing a turbocharger, always replace the oil feed line, the oil, the oil filter and the air filter. Use genuine parts. Insist on a regular check of the operation of your vehicle’s PCV valve (Positive Crank Ventilation) and DPF (Diesel Particulate Filter), as well as the EGR valve (Exhaust Gas Recirculation) and the catalytic converter. These have a direct effect on the reliable operation of the turbocharger. If your engine is worn, and there is blow-by past the rings, your turbocharger will give you problems. Make sure the engine’s breathers are not blocked. This will cause a turbocharger to “leak oil” and smoke. Which oil is the best for my vehicle? Many vehicle owners follow the advice of online forums and marketing from certain companies. Ignore these misleading guidelines, and use only the manufacturer’s specified oil make and grade. The manner in which the engine and turbocharger bearing systems were designed and “married together” was through the highly technical and specific properties of the lubrication that will suit the engine’s internal components, materials and tolerances, as well as those of the turbocharger. Just because an oil company has a great TV advert and some race teams use this oil, does not necessarily mean that it is suitable for your vehicle’s engine/turbo installation. Take care when choosing your oil during a service. TurboDirect SA is South Africa’s largest performance-product importer, representing brands like Garrett by Honeywell, Borg Warner, MSD, ARP, NOS, ACE Clutches, Simpson Race Products, their own in-house range of intercoolers, AEM performance products, and other electronic products, in-house manufactured and CNC machined Billet compressor wheels, and hand-built custom-made Hybrid turbochargers using both Garrett and TurboDirect components. To contact them, fill out the form below.